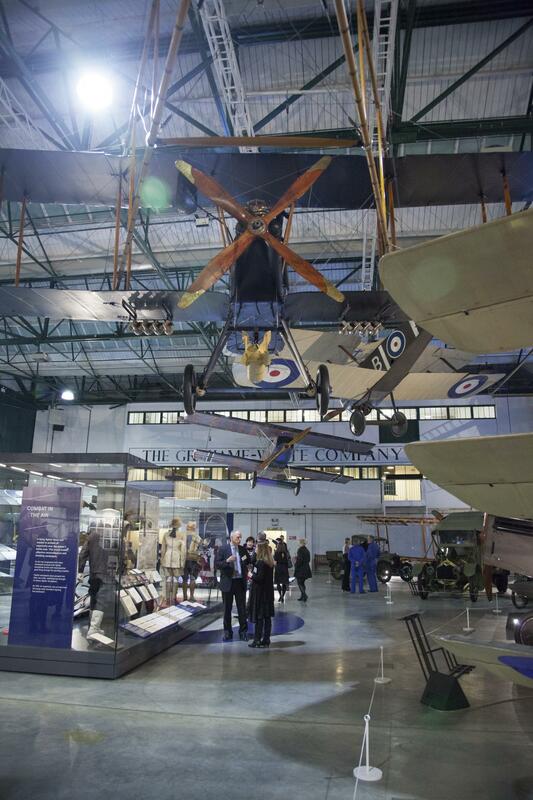 Rise above the rest with the RAF Museum. Book an inspiring event space for conferences, meetings, dinners and exhibitions. Whether you are looking for a business meeting for 20 people, banquet for 400 or reception for 800 - we will ensure that your event takes off with great success! We also offer a wide range of versatile rooms for meetings, seminars, exhibitions, conferences and product launches; from our fixed, tiered Lecture Theatre for up to 224 people, to our Dermot Boyle Wing which offers a total floor space of 480 square metres, and our recently refurbished Boardroom suitable for intimate meetings for up to 20 people. Day Delegate Rates are available along with competitive catering packages from our on-site caterer. As part of your package, all daytime corporate guests have free access to the Museum itself during opening hours, with ample complimentary car parking for all corporate and private events. The Museum, located outside the congestion charge zone within 20 minutes of central London, is easily accessible by road, rail and tube making it a perfect venue for any event. Our dedicated and experienced events team endeavour to make the planning and implementation of your event as seamless as possible.